Millennium 7 Publishing Co.: YOUR Social Media Bachelors Degree? 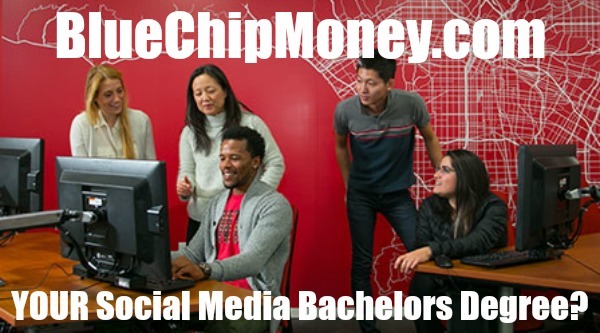 YOUR Social Media Bachelors Degree? What if you could major in Facebook and Instagram? A new bachelor's degree in social media theory and strategy approved at Kutztown University will give student a chance to do just that starting this fall. The Pennsylvania State System of Higher Education Board of Governors approved the creation of the degree on Thursday and Kutztown is already accepting applications for the program, according to news releases from the system and university. Kutztown is now one of a handful of colleges across the country offering dedicated social media degrees. Many schools do offer certificate degrees in social media and some marketing and digital media programs offer a social focus. "Social media is intricately woven into our economic, civic and social lives, and those who don't become adept at producing and analyzing it are increasingly at risk," Moe Folk, associate professor of English, said in a news release. Folk said the "cutting-edge program" will prepare students for careers in the corporate and nonprofit worlds and to take charge of their own content. There's high job demand for those with social media savvy and employers are paying top salaries, according to the news release. "This major would not only benefit students, but would benefit companies ... primarily because the major is a rarity and would provide a much more appealing skill-set on a resume that current majors are unable to provide," said Nick Gorrie, digital marketing account manager at SearchworxX in Allentown. When searching for a job, candidates find digital expertise boosts salary significantly, the releases say. An entry-level candidate who studied psychology in college is paid on average $42,206 annually. When that same psych major picks up a data analysis and statistics skill set the starting salary can jump to $68,788, Kutztown University said, citing Burning Glass Technologies. "While there are a host of reasons why the new program is important, the one that may stand out the most is sheer need," said Keith Massie, assistant professor of communication studies at Kutztown. "The National Institute of Social Media found that 'social media' jobs have increased 37 percent since February 2013." Locally, Centenary University in Hackettstown launched its Social Media Center for Expertise in 2015. Students there can earn a degree in business administration with a social media concentration or combine a social media marketing minor with other majors. DeSales University offers a social media certificate program. Guest Authored By Sara K. Satullo. Sara is a second-generation Journalist. She's an Education Reporter for Express-Times and @leighighvally. Follow Sara on Twitter.